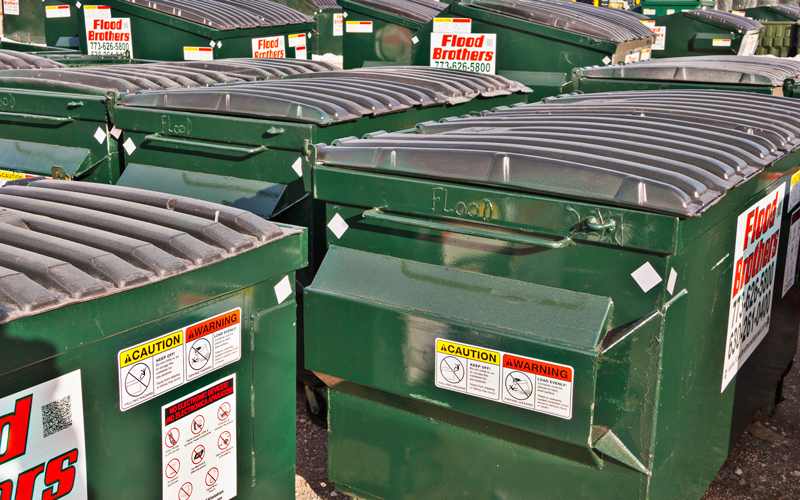 Flood Brothers Front-Load containers come in various dimensions to fit your exact needs. Casters add an additional 8" to the overall height of the container. Please note these outside dimensions may differ slightly due to manufacturing variances. Flood Brothers reserves the right to change designs and specifications without notice. Not all models are available at all areas. Please call to review exact specifications.